Story Line: Based on the autobiography of Solomon Northup, an educated, talented and wealthy man and devoted husband and father. He was a free man during the mid 19th century when the slave trade was thriving throughout the southern American States, but betrayed by associates and then sold into slavery. Beautifully filmed and superbly acted. McQueen delivers a piece of exquisite cinema. This is film making at its finest and a masterpiece of our time. Incredibly hard hitting, it might be a tough watch for some. It is simply a master class in filmmaking and these scenes are just examples of what epitomises everything that is exceptional about the whole movie. 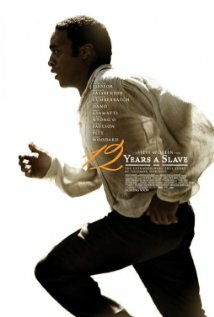 About three quarters of the way through 12 Years A Slave, I noticed an elderly couple get up and leave the cinema immediately after we watched a scene in which a young girl was viciously tortured. It might well have been that they simply had to be somewhere else, but I assumed it was because they just couldn’t stomach anymore of the unflinching brutality that Director Steve McQueen so magnificently depicted in this outstanding drama. It is based on the autobiography of Solomon Northup, an educated, talented and wealthy man and devoted husband and father. He was a free man during the mid 19th century when the slave trade was thriving throughout the southern American States, but betrayed by associates and then sold into slavery. It would be perfectly excusable for someone to think that condensing the 12 years of pure misery and hardship that he then faced into a movie at just over 2 hours long sounds almost disrespectful. After all, how could anyone make an audience truly understand what Northup and those around him had to endure? Surely nobody can? Perhaps realising this, McQueen knew that he couldn’t hold back the punches and as a result manages to draw out every ounce of empathy from the audience to the point that every insult spoken in the film is personal and every lash of the whip is felt. The use of music, for instance, was expertly deployed, not least by the sporadic interjections of a beautifully haunting score that added weight to the sorrow felt in each of the scenes it was played. Another piece would be intermittently played that consistently delivered an unnerving sense of tension. Combined, the music is one of the many factors which make 12 Years A Slave such an emotional experience. Another is McQueen’s relentless depiction of the brutality and violence inflicted upon the slaves, which contrast to their own resilience, their principles, sense of identity and endurance. The violence itself is of course extremely tough to watch but not because it is graphic or gory, it is much more substantial than that. It is because the unjustifiable violence is always carried out as a justifiable means of punishment in the minds of those inflicting it. We as the audience of course know that this punishment never befits the ‘crime’ (and I say ‘crime’ ironically) and as we are already empathetic and sympathetic to the victims of the heinous abuse, the impact is felt significantly, and it is hugely unpleasant. As well as this, McQueen employs a device that is becoming something of a trademark for him; a still-shot that has the camera fixed in position and focused on his character. He used this several times in Shame, such as the lengthy scene of Carey Mulligan singing; vulnerability and anguish etched on her face. He uses it just as effectively here, perhaps even more-so, choosing and timing when to employ this method to maximise the impact of what is happening to the character. One scene in particular stands out, a deliberately long and drawn out punishment that McQueen wants us to endure along with his character. Confounding this further is watching a host of other characters in the background going about their business, afraid to help or assist for fear of a similar fate. The awareness of this sense of fear that so many of the characters have to live with is almost as tough to take as watching the punishment itself. This is a truly unflinching and breathtaking scene that will live in the memory for some time. The screen-play, too, adds not only to the emotion and the empathy on the audience, but also as a supplement to the injustice and horror of the events that befell these characters. Every time a human being is described as someone’s “property” or compared to “live-stock”, it crawls up the skin, especially when considering that this kind of language would have been common-place and the norm at the time. Equally, every reference to “survival”, “keeping alive” and “freedom”, yelled so vehemently and passionately by various actors playing the slaves is likely to make your hair stand on end, such is the impact. This is of course a credit to the actors themselves, each and every one of them superb. Chiwetel Ejiofor is phenomenal and deserves every award nomination he gets, and I for one will be more than happy to see him sweep the board. As Northup, he says early in the film, “I had a family, a life, and now you’re telling me it’s all gone?” and Ejiofor, who is in almost every single scene, manages to convey the fear, confusion, anger and resilience encompassed by that question consistently throughout. More significantly than this, though, is Northup’s drive, determination and longing to see his family again which Ejiofor portrays so well and convincingly. Whenever he is on screen he is symbolic of that hope and determination to the extent that his performance pleads with the audience to side with him, so much so that Ejiofor’s final scene could entice tears from a stone. McQueen’s talisman, Michael Fassbender (who previously collaborated on Hunger and Shame) is also exceptional as the tough, hardened plantation owner, Edwin Epps, who ‘buys’ Northup. It’s an incredible performance with every scene he’s in filled with his character’s tired anger. He is the symbol of the perceived justification of the slave trade; it is law and therefore it is right and therefore he is right; and as such there are no efforts here from Fassbender or McQueen to arouse any support or sympathy for Epps. We’re supposed to hate him, and I did, but Fassbender’s screen presence was so powerful, his performance so captivating and enthralling, that I never minded when Epps was on screen despite the despicable nature of his character. Lupita Nyong’o also deserves a mention for her heartbreaking performance as Patsey. If we are talking about symbolism then she is that of despair and hopelessness, a victim in every sense of the word. She inherits the unwanted attention from Epps and as a result the hatred from his wife, none of this from any of her own doing. She’s the opposite of Northup as she has given up all hope, yet Northup’s and Patsey’s relationship manages to blossom both beautifully and tragically such is their bond in circumstance. There is a large ensemble cast that all deserve credit, from Sarah Paulson as Epps’ wife, Paul Dano who is somewhat worryingly making a name for himself with his ability to play unhinged, unstable and generally unlikeable characters, and Benedict Cumberbatch, a slave owner who is the antithesis of Epps by demonstrating compassion and warm heartedness. These are small roles (even the likes of Brad Pitt and Paul Giamatti only really have cameos), but all of them deliver solid performances, as do all the extras and everyone else involved in this film, no matter the size of their role. I found this to be flawless and easily one of the best films I have ever seen. Ironically, it would be difficult to recommend it to absolutely everyone because, like that couple who walked out, this could be too much to take for some people. It is vicious, brutal, unsettling, disturbing, unnerving, unpleasant, tough-to-watch and downright upsetting – as it should be! Everything that is unpleasant in this film is purely because of the subject it tackles and the fact that 12 Years A Slave is all of these things is to the credit of everyone involved, especially McQueen. The subject and the story are not to be enjoyed, nor is this a film designed for entertainment (Tarantino has given us Django Unchained for that), but the subject and the story should certainly be told, understood and respected, and McQueen delivers the perfect opportunity to do so. Above all else, McQueen delivers a piece of exquisite cinema. This is film making at its finest and a masterpiece of our time.